Steve Smith of Australia and India’s Mahendra Singh Dhoni have led the captains’ support and excitement at next year’s ICC Champions Trophy with South Africa’s AB de Villiers hoping to end his side’s 19-year title drought in England and Wales. The eight top ranked sides as on 30 September 2015, led by world champion Australia and defending champion India, will feature in the 18-day tournament from 1 to 18 June 2017 during which 15 matches will be played in Birmingham, Cardiff and London (The Oval). The eight captains minced no words in admitting that the ICC Champions Trophy format will stretch the participating sides to their limits, which, in turn, will help bring the best out of the players. They also said next year’s event will be extremely crucial as the pinnacle 50-over ICC Cricket World Cup will be staged in the same conditions in 2019. 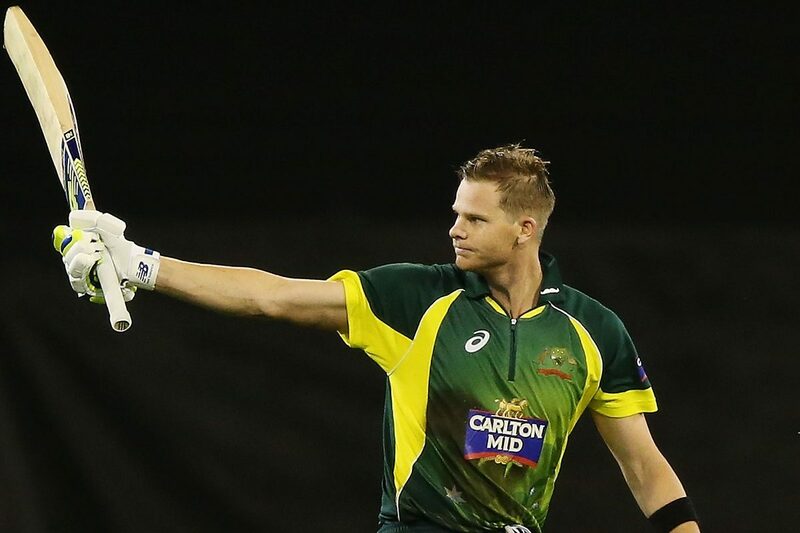 Smith said his side will aim to maintain the standard it has set for itself. 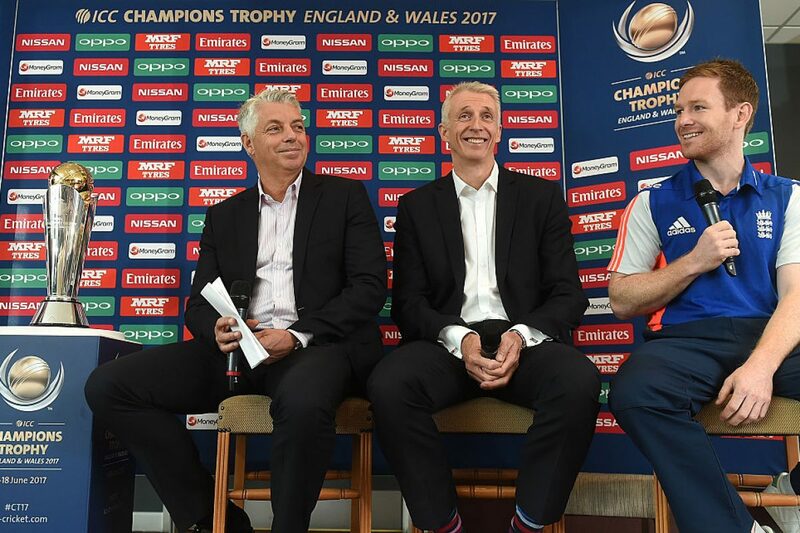 “There’s a fair amount of cricket to be played between now and the tournament, but as the top-ranked one-day team and current World Cup holders, we will be keen to maintain our standing by claiming a third ICC Champions Trophy. Dhoni, who inspired India to the ICC Champions Trophy in 2013 a couple of years after guiding his side to World Cup victory, said he was aware of the challenges the event poses. “Having won the event in 2013, we know how intense this event can be and we are under no illusion that it will be any different next year,” he remarked. India has been grouped with Asian rivals Pakistan and Sri Lanka, as well as 1998 winner South Africa. India will open its campaign against Pakistan at Edgbaston, Birmingham, on 4 June. “In the ICC Champions Trophy, it doesn’t matter which other sides are in your group or who your semi-final or final opponent is. You have limited time and the key to success is consistency, and being on top of your game each time you step out on to the field. There is very little room for error. “I am sure the ICC Champions Trophy, like any other ICC event, will be well organised and the team and I are looking forward to a lot of crowd support, which was one of the factors that helped us across the line in 2013,” Dhoni added. South Africa has been seeded third behind Australia and India, and de Villiers was quick to say that his side was committed to ending the 19-year title drought. “I’m especially looking forward to the ICC Champions Trophy in England and Wales next year as it is another opportunity for our ODI unit to make an attempt at winning silverware for South Africa. “There has been a lot of focus on Twenty20 cricket over the last few months and an upcoming triangular series against the West Indies and Australia is the start of an important journey of preparation leading up to the tournament. “We are in an incredibly tough group with the three Asian giants in India, Pakistan and Sri Lanka, so we are going to have to play at our optimum best to have a chance of lifting that elusive trophy,” he said. 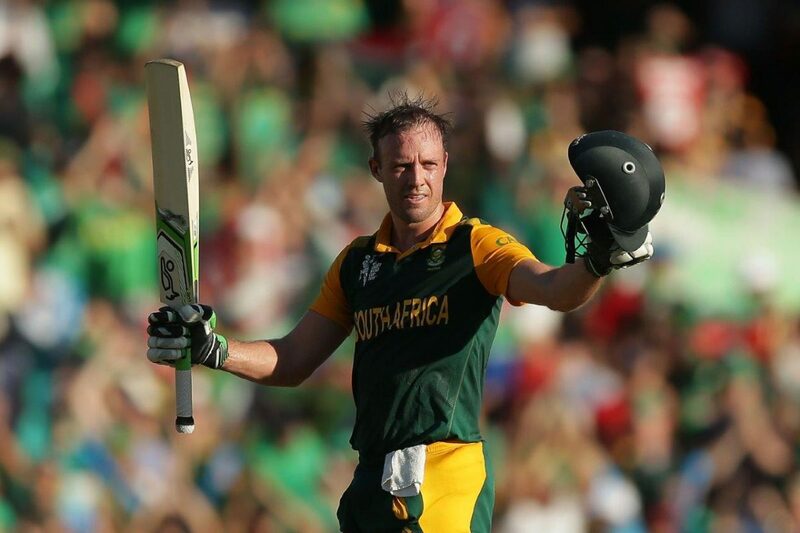 De Villiers agreed that the ICC Champions Trophy 2017 will be a competitive event, adding that he was looking forward to the support in England and Wales where he has always enjoyed playing cricket. “It is going to be a highly competitive tournament as it features the eight top ODI playing nations and the quick nature of the schedule opens up the possibility of good quality and action-packed viewing for those 18 days. Every match will be a virtual knock-out so there will be plenty at stake and little room for slip-ups. “I particularly enjoy playing cricket in England and Wales; with its rich cricket heritage, its renowned venues with just the right mix of tradition and modernity, and culturally diverse and appreciative crowds, all of which are perfect ingredients to make it a memorable event. We have always enjoyed great support in England and Wales, there is a passionate South Africa expat crowd, so hopefully that can count in our favour,” De Villiers said. 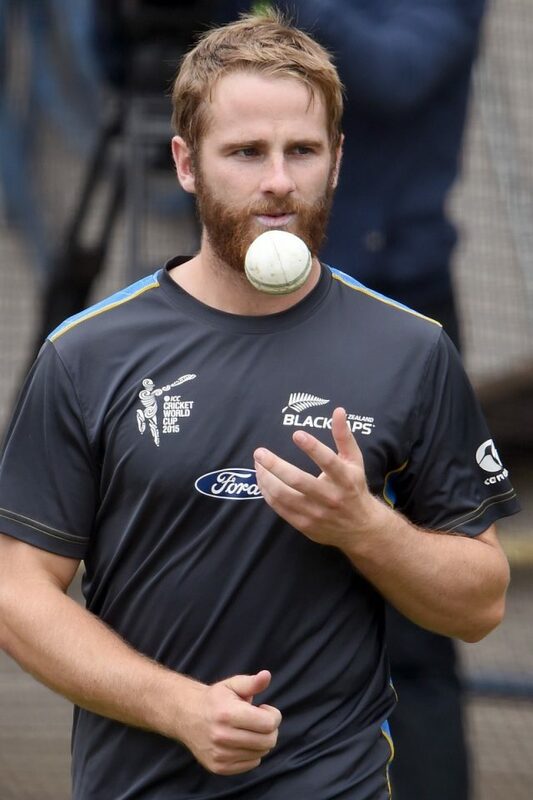 Kane Williamson, who will be leading fourth-seeded New Zealand for the first time in a 50-over ICC event, said the Blackcaps were looking forward to meeting Australia in their tournament opener on 2 June at Edgbaston. “There’s always a little extra buzz around the group when we play Australia, so for us to be facing them in the opener will certainly be something both teams are looking forward to immensely. “There are no easy games in the ICC Champions Trophy and that’s what makes it so exciting to be a part of. The quick-fire nature of the tournament means you don’t get second chances, so it’s important to bring your best cricket from game one,” Williamson said. Sri Lanka captain Angelo Mathews said the ICC Champions Trophy was expected to provide his young side the much-needed experience and exposure that could help it to return better prepared for the ICC Cricket World Cup in 2019. “The ICC Champions Trophy will be an important event for Sri Lanka as we are going through a transition and the young but extremely talented cricketers are learning to adapt to the challenges and demands of top-level cricket. I am sure the ICC Champions Trophy will provide them the experience and exposure of a 50-over global competition, which they will find invaluable in their ICC Cricket World Cup 2019 preparations,” the all-rounder said. 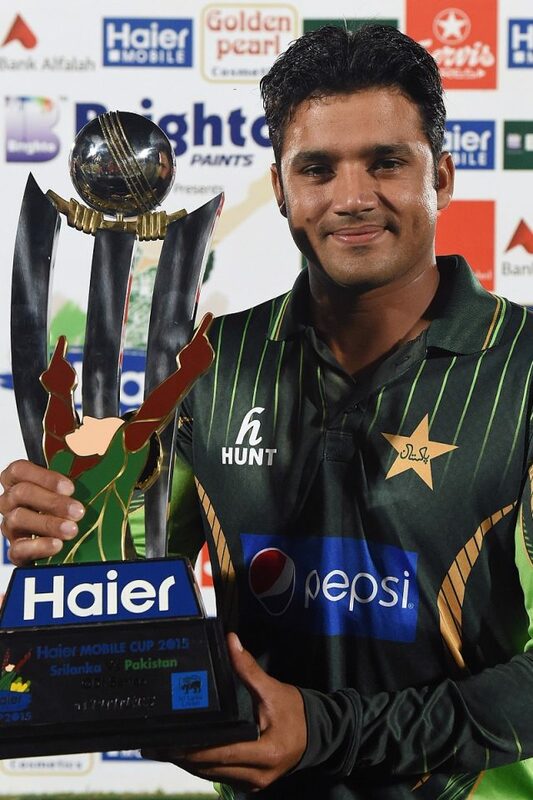 Mathews said the ICC Champions Trophy was designed to provide complete entertainment to the spectators. “A total of 15 matches between the top ranked sides over two and a half weeks at three picturesque venues – it can’t get any tougher or any more exciting than this. “The short and sharp ICC Champions Trophy will test the players to their absolute limits, while the spectators are guaranteed quality entertainment almost each day, which is what cricket is all about,” he said. England captain Eoin Morgan, whose dismissal in the 2013 final at Edgbaston proved to be the turning point in the rain-reduced final, opined that professional cricketers preferred to be tested in tough and challenging events like the ICC Champions Trophy. “The ICC Champions Trophy is an elite ODI competition, contested by the sport’s top eight ranked sides featuring the finest 50-over cricketers. As professionals, we want to be involved in such intense competitions where our individual and team skills are tested almost each day,” the left-handed middle-order batsman said. Bangladesh has been seeded seventh in the tournament and captain Mashrafe Mortaza has expressed confidence that his side will justify its return to the tournament for the first time since 2006. “I am delighted that we are returning to the ICC Champions Trophy next year and the icing on the cake is we will feature in the tournament opener against the home side, which we beat in Adelaide to qualify for our maiden ICC Cricket World Cup quarter-final. This is not only a reward for our performances and achievements in the past 18 months or so, but also gives us the confidence that we can start the event on a winning note. Pakistan captain Azhar Ali was candid in saying that his side will be committed to qualifying directly for the ICC Cricket World Cup 2019 after putting strong performances in the ICC Champions Trophy.